Called Deno today in Boston. I was overdue at ringing him back after he texted me right before I took off for Mexico. We know each other from grad school at Indiana University (IU) and when we met there, we realized we knew a lot of the same people growing up. Deno grew up in Munster, Ind., while I was just over the bridge in Highland. I am reconnecting with my roots this weekend, not only with the call to Deno but also watching Butler play in the final four. The Butler coach went to DePauw, my alma mater and I haven’t been watching basketball enough of late … so all good reasons to stay home and watch some hoops . 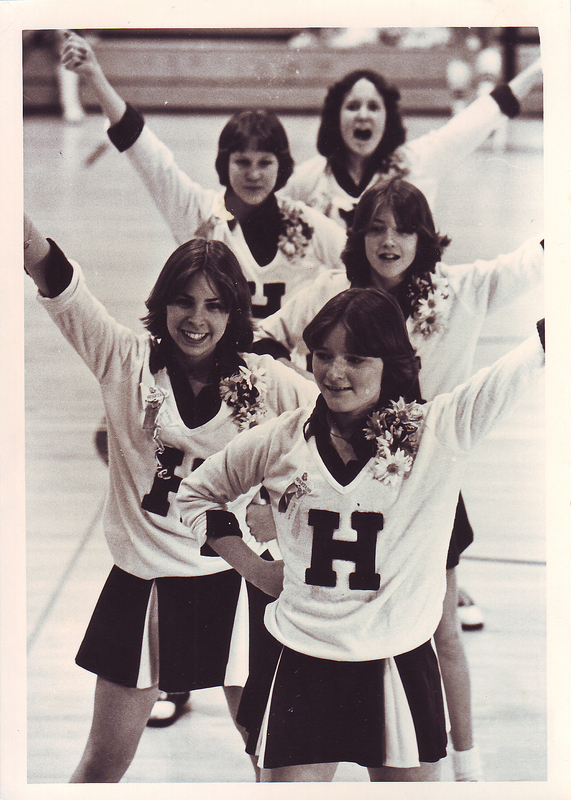 Here’s an old photo from back in the day – 8th grade cheerleading, me in the back. It was homecoming because we have fancy corsages. Let’s go Butler! I hope John Mellencamp sings the national anthem.